The Nintendo Official UK Store is now 5 and a celebration is due. To celebrate, Nintendo UK is running a contest that will run from now until 14th October 2018. All you have to do is to enter your email address into their contest site here, and stand a chance to win a Nintendo Switch, as well as, other prizes. 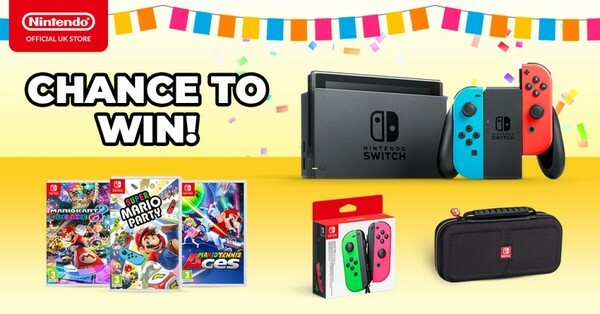 The Nintendo Official UK Store has turned 5 and to celebrate this special occasion we decided to celebrate with a contest! In addition, we are giving away prizes on the Nintendo Official UK Store Facebook page! Check the page at 10am every day between Wednesday 10th October and Sunday 14th October to find out more.